At a time when the race to renewables is on full throttle, Sunsaluter stands out as a innovative smart technology that can be integrated into developing communities and help provide clean energy. 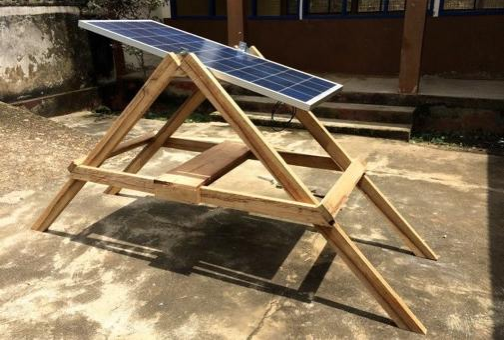 In a highly competitive market, the Sunsaluter solar tracker is the only solar panel that follows the location of the sun designed for the developing world using only water and gravity. In conversation with Sambit Samsal, Executive Director of Sunsaluter, he points out how approximately 400 million people in India and 48% of rural households still lack access to electricity. Due to strong government support and a growing ecosystem of established off-grid solar organizations, India is currently experiencing a “golden age” of solar energy.In this thriving market, Sunsaluter’s simple design and mechanism makes it highly competitive and easy to integrate into local communities. Following the international Paris Climate agreement in December 2015 where countries agreed to stronger climate action, Sunsaluter is amongst the pioneering innovation technology in renewable energy essential to successfully phase out of fossil fuels. Q. Tell us a bit about yourself and your journey to Sunsaluter. I was previously involved for three years with a multi-country initiative project at India and Bangladesh led by European Union and Concern Worldwide on climate change adaptation and disaster risk reduction. The major focus of our work was how to provide the most vulnerable communities with access to clean water and energy. My interest and experience in renewable energy brought me to my role as Executive Director of Sunsaluter based in Bangalore, India. Q. What have been some of the key impacts with Sunsaluter’s work ? Over the last two years we have diligently refined our technology and have deployed over 130 SunSaluters in 16 countries. We are now scaling up operations in India and East Africa. With our technology ready to go, building a sustainable business structure is our primary challenge in our mission to accelerate the adoption of renewable energy. We have set up manufacturing operations in Bangalore and have already deployed 50 units throughout India. We have also established distribution operations in Malawi, with probable next locations being Uganda, Mexico, and the Philippines. Q. How is Sunsaluter helping lead the effort in climate adaptation and transition to renewables? Fundamentally, people are going to benefit directly by having more affordable access to energy and clean water. The SunSaluter reduces the cost of solar systems by up to 20%, making it possible for more households to have access to more reliable energy and water. With solar energy, they can eliminate the usage of kerosene gas, they can work longer hours, and their children can study at night. 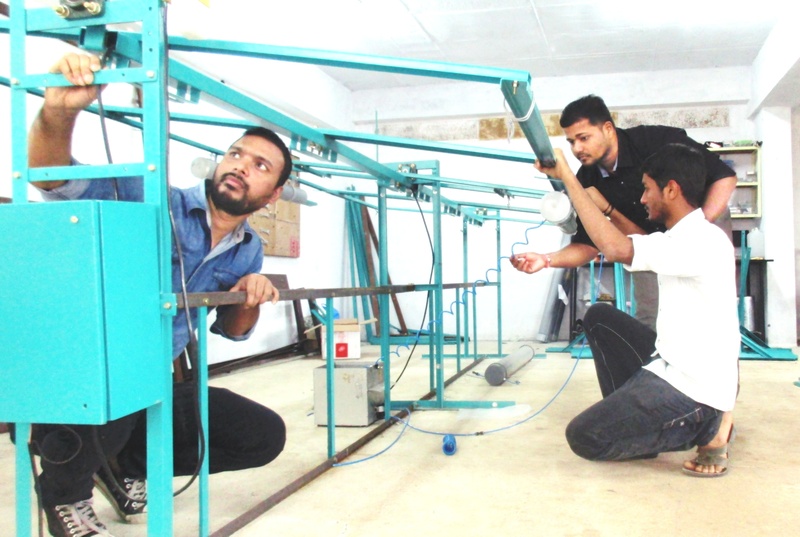 Local entrepreneurs who build their own SunSaluter businesses may also be considered direct beneficiaries, and they will have an increased and reliable income. In communities where even only a few people have solar systems, the entire community benefits as neighbors share their homes and enable activity after dark. It is hoped that our entrepreneurs will hire employees and create local job opportunities as well. Q. What projects are you working on in India so far ? At Barefoot College in India, for example, 3 SunSaluters power lights in the women’s dormitories. In the Indian village of Khoiri, SunSaluters power 12 homes, and each family is saving $4 USD per month on kerosene. Our implementation partner, The Skilled Samaritan Foundation, has declared that all of their future systems will use SunSaluters, and together we are providing SunSaluters to 12 rural schools in the state of Uttar Pradesh. Together we are searching for village level entrepreneurs in northern India who would like to start their own SunSaluter operations. Q. How many people are benefiting from this product would you say ? Approximately 1,500 individuals already directly benefit from SunSaluters and an estimated 8,000 more benefit indirectly. It’s not just about that though. Consider the Sumangali Seva Ashram for girls in Bangalore where a SunSaluter powers lights and fans in the classrooms. It also serves as an educational tool for hundreds of visitors each month and we are teaching new generations about renewable energy. Q. How do you assess communities interested in bringing this technology forth ? There is a dire need for simple and affordable products which enhance existing solar and water purification technologies for end users. Products like solar lanterns have a tremendous impact on end users but they are high tech devices, manufactured abroad, and do not create local economic opportunities. The SunSaluter is 30 times less expensive than conventional motorized solar trackers, consumes no electricity, and also produces clean drinking water through an integrated water purifier. Also, it can be manufactured from common materials by almost anyone, so local entrepreneurs can build their own SunSaluter businesses and have control over the entire value chain. Hundreds of organizations are already doing tremendous work to bring solar energy and clean water to rural communities. Q. Even in this golden age of solar energy, how does Sunsaluter plan to remain competitive ? The SunSaluter is most effective in markets where solar panels are expensive, so as solar panel costs continue to decrease, we will need to develop large systems to be as efficient as possible. Through research and bulk manufacturing, we want to drive down the cost of the SunSaluter until it is under Rs 650 ($10 USD) for customers. We are continuing to work on developing a strong brand identity and achieve financial sustainability by end of 2016. Within the next decade, we want Sunsaluter to be adopted globally by young entrepreneurs who are locally fabricating and manufacturing them. Q. What advice do you have for young people who are passionate about renewable energy and social entrepreneurship ? We need young entrepreneurs to come up with new ideas and innovation to make solar energy adapted and accepted at every corner of the world. They should think out of the box as the young people always hold a lot of power in affecting change.